Experience a scrumptious buffet of an ancient trade routes starting from the Oriental East to the Mediterranean shores at NEXT2 café every Thursday night. 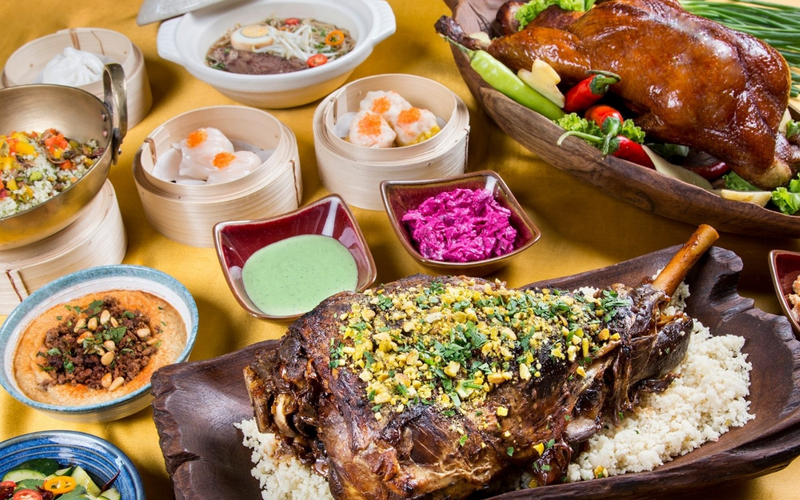 Savour the flourishing taste of Eastern selections, such as Vietnamese Rice Paper Roll, flavourful Black-Bean Angus Beef and a house-made dim sum. Continue to the Middle East with mezze creations, including Hummus with Spiced Minced Beef, Egyptian Pulled Dakkah Spiced Lamb Shoulder, Lebanese Chicken Shawarma and many more. Available at 1,900 baht net for adults and half price for children aged between 6 and 11 years old. To make a reservation, guests may contact the hotel using the details shown on this page or book directly by clicking the pink “Make a Reservation” button.